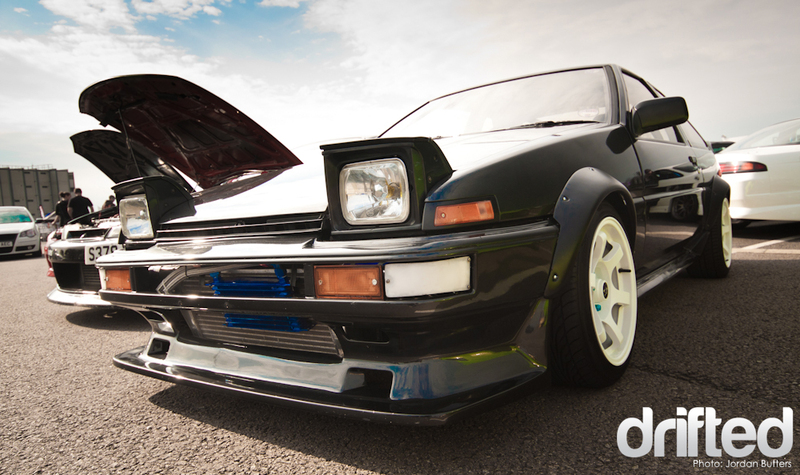 Spotted nestled away at this year’s TRAX event at Silverstone was this awesome looking AE86 Corolla Trueno GT APEX. Sporting a Monkey Magic front bumper, GT Apex sideskirts, wide arches and a set of white 16×8 ET+10 Rota Grid Drifts it has a mean and purposeful stance. The back end is nicely finished off by TRD Carbon spats and a TRD ducktail spoiler. 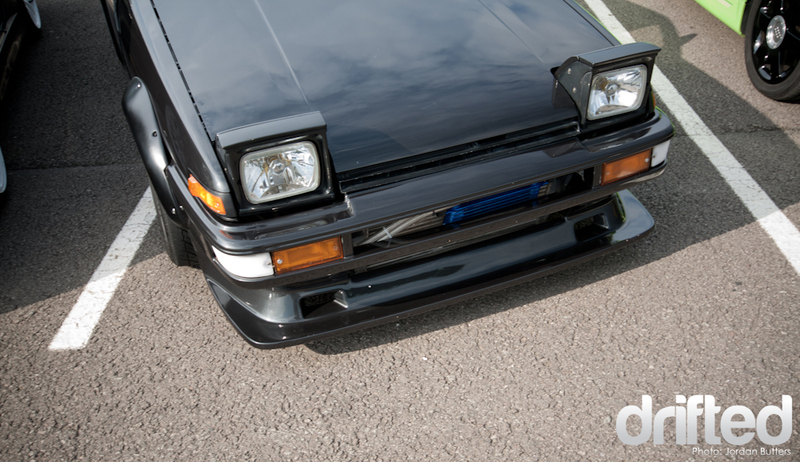 You may have spotted something hiding behind the front bumper hinting that 86-heads should look away now…. 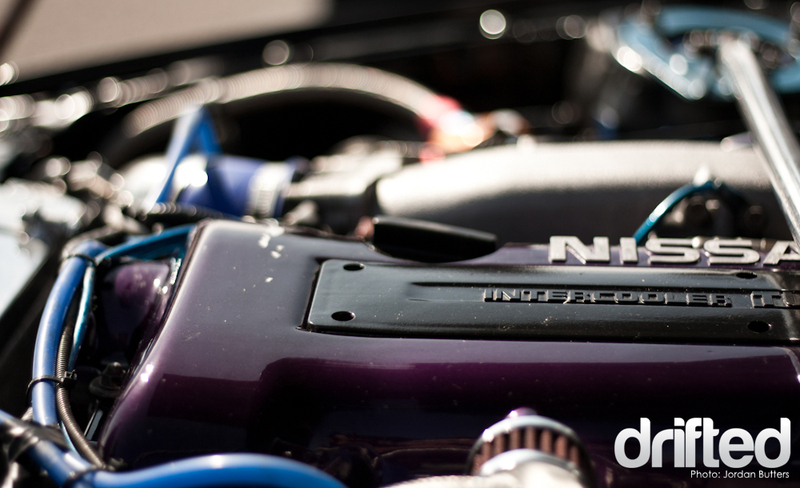 At the heart of the little Corolla sits a rebuilt Nissan SR20DET engine. 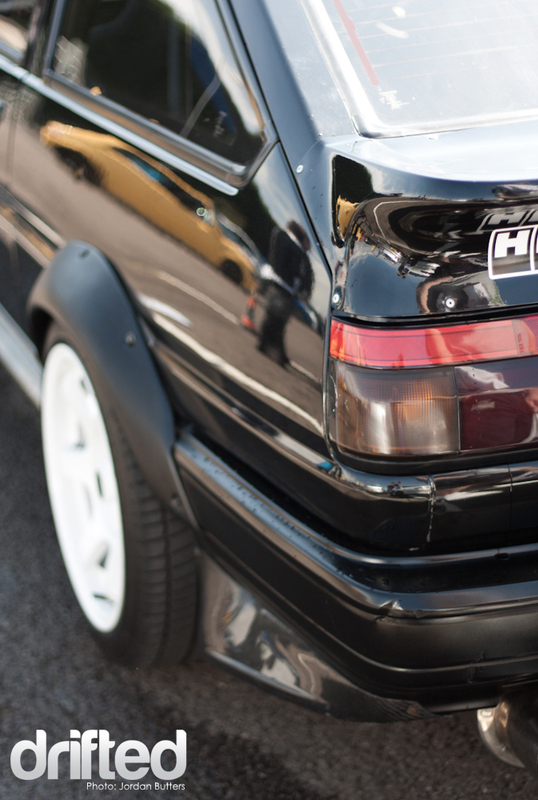 Tweaked with a 1.2mm Cosworth metal headgasket and a top mounted T28 turbo. Plenty enough power to send the Toyota sideways under a curtain of smoke. The ‘SR86’ is becoming a popular engine/chassis combo in the drift world, Corolla with the added bonus of tyre smoke can’t be a bad thing!